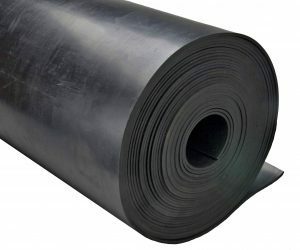 Neoprene (polychloroprene) Rubber Sheet is a high quality sheet rubber material designed for longevity in general purpose applications requiring moderate weathering or oil resistance. It is an economical material available in a variety of sizes and hardnesses (durometers). Offered in 36 inch, 48 inch and 72 inch wide rolls, it can also be slit to width or custom cut to your specifications. Also available with nylon insert for increased tensile strength. Matte finish available in select sizes.